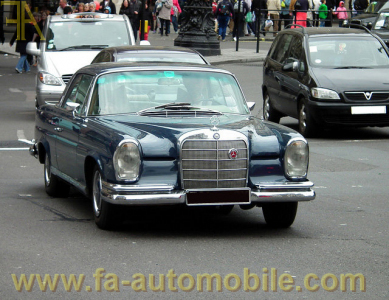 Magnificent 250 SE coupe finished in its original dark blue over untouched tan interior. Full documentation including original bill of sale. Delivered new in Germany on October 17th, 1966. Only 2 owners, desirable manual gearbox, electric sunroof, interior is absolutely perfect and never changed, painting largely original and gorgeous original chromes all around, engine rebuilt completely a few years ago. One of the most beautiful 250 SE. Available immediately. Full dossier upon request. Sister car pictured.